Vail Resorts is continuing its technology innovation with the launch of Emma, billed as the world's first digital mountain assistant. Vail Resorts promises guests “an experience of a lifetime.” This is no easy feat, given the massive scale of its operations. With world-class properties that include such prestigious mountain resorts as Vail, Beaver Creek, Breckenridge and Keystone in Colorado and Park City in Utah. The company also owns premium hotels under the Rock Resorts brand as well as the Grand Teton Lodge Company in Jackson Hole, Wyoming. It seems fair to say that the lofty promise that Vail Resorts makes to its guests is more than just marketing hype. Rather, it is a commitment that the company works hard to deliver. And it succeeds in this regard by virtually every measure, from guest satisfaction ratings to retention metrics to overall revenue performance. At least some of the organization’s successes in delivering superior guest experiences is due to the emphasis it places on continuous technology innovation. Vail Resorts prides itself on being a foremost IT leader in its category, implementing next-generation technologies to enhance the guest experience on an ongoing basis. Since developing the industry-leading season pass, the Epic Pass, 10 years ago, the Company has introduced RFID technologies in passes and lift tickets to enable the “Easy Scan” process and power EpicMix; launched the EpicDay Express Lift Tickets program, which allows guests to skip the ticket line completely; and last year introduced EpicMix Time Insights, a website that gives guests a historical look at lift line wait times for any day throughout the season, using data collected from its real-time lift line feature, EpicMix Time, which uses crowd-sourced Wi-Fi and Bluetooth signals to estimate lift line wait times in real time. 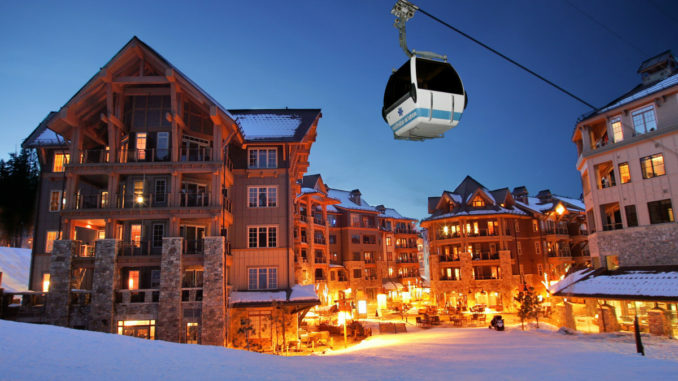 The feature builds upon a first-of-its-kind app that enables guests to track their skiing and snowboarding experiences using an RFID chip embedded in their lift tickets in combination with passive scanners located at each lift. Not surprisingly, the company earns frequent accolades for technology innovation. Fast Company recently recognized Vail Resorts as one of the world’s “50 Most Innovative Companies.” It was also chosen as one of the “Top 10 Most Innovative Companies” in the travel sector. Vail Resorts is continuing its technology innovation with the launch of Emma, billed as the world’s first digital mountain assistant. Emma has begun its inaugural winter season, launching in beta at Keystone Ski Resort in Colorado, which opened ahead of schedule. Emma is using the early season to better understand how guests ask questions while at the resort and will launch at eight additional ski resorts later this season: Vail, Beaver Creek and Breckenridge in Colorado; Park City in Utah; Heavenly, Northstar and Kirkwood in Tahoe; and Whistler Blackcomb in Canada. Through simple text messaging, Emma (which is said to stand for “Epic Mountain Assistant”) offers guests real-time information on everything from snow conditions, parking and personal performance stats to recommendations on rentals, lessons and dining options. This first generation technology uses artificial intelligence (AI) through natural language processing (NLP) to answer questions, 24 hours a day, 7 days a week through short message service (SMS) text. As Emma interacts with guests, she will get smarter, expanding her knowledge base and insight throughout the season. Additionally, Emma can answer questions on weather conditions, grooming, lift line wait times, parking, ski school, lift tickets, equipment rental options, dining recommendations and more, serving as a one-stop source for the information guests need, when they need it. If Emma cannot answer a question, it will reportedly connect guests to a live agent for further assistance. In an effort to continuously improve Emma’s capabilities, guests can text “feedback” to share their open-ended ideas and comments for Emma.